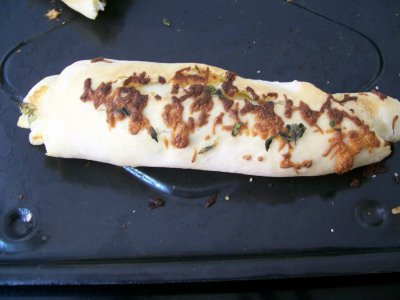 Next, I lightly greased a plastic sheet and rolled out the dough to a large circle. 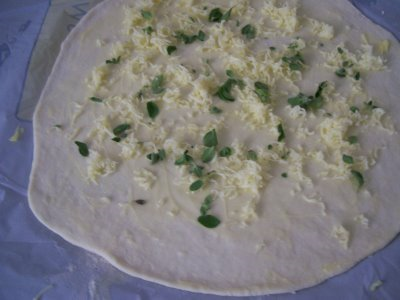 I spread roughly a tablespoon of butter on the rolled dough, and then sprinkled grated cheddar and sweet marjoram leaves. How much? Really, as little or as much as you like. There's nothing like too much cheese. Now roll the dough to form a log. My finished log was much longer than my baking tray so I cut it into two rolls as I placed it on the baking sheet. I'd reserved some cheese and marjoram that I now sprinkled over the rolls and left them covered for the next half an hour to rise. Warmed the oven to 200C and then baked the loaves for around 20 minutes until they had just turned golden. I guess I should have left them to cool, but what's the point - all this effort was to get to eat bread fresh off the oven. 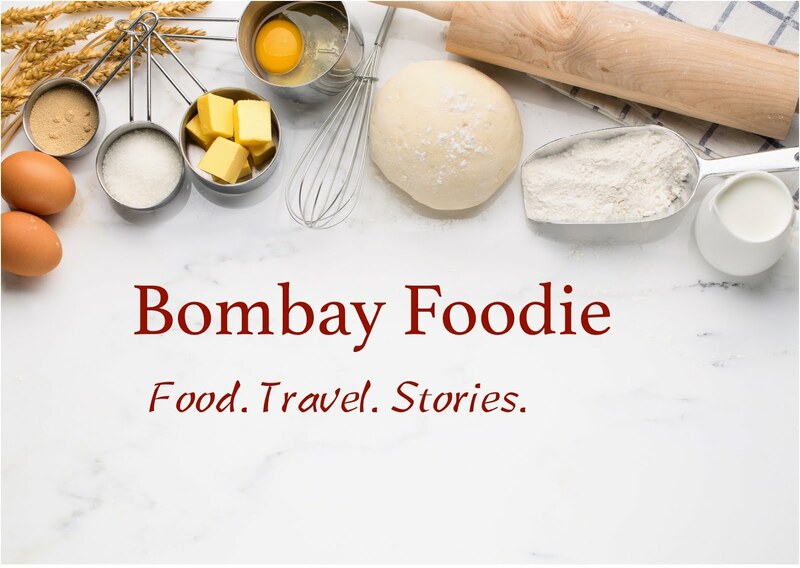 So I bit into the roll as soon as it came out, and how delicious it was - soft and cheesy, with a sharp flavor wherever you hit marjoram!